Every business is different. 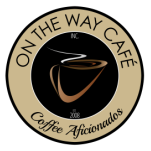 Get the office coffee solution that's right for you from ON THE WAY CAFE Inc. Next to using high quality, freshly roasted coffees, the most important element of your office coffee program is the coffee brewing equipment. Our equipment is provided on loan, and you will not be charged equipment rental fees or forced to sign a term contract. Your only responsibility is brewing coffee. On top of it all, we take care of maintaining all equipment. In order to meet your office coffee service needs, an Account Manager will discuss your specific coffee requirements and recommend an office coffee service program tailored to you. Our industry-leading coffee brewing systems are calibrated and tested to our highest standards prior to installation. To begin enjoying only the best, call 416.535.1998 and get started today.